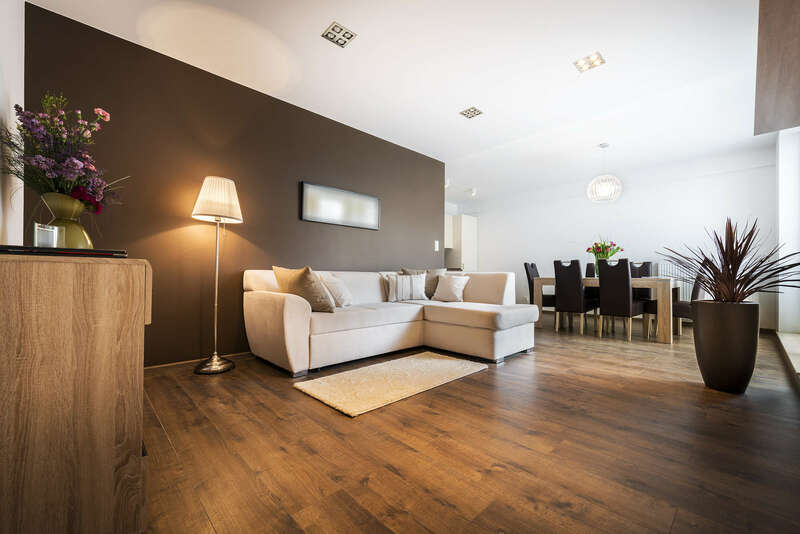 Although laminate flooring has gained popularity for the last few years, wood flooring is still preferred. On Long Island, maintaining your hardwood flooring is easy to do. Bob McGowan’s Wood Flooring’s staff will make sure that your wood floors retain longevity, and maintain their beauty for years to come. For over thirty years, Bob McGowan’s wood flooring has continued to care for hardwood floors all over Long Island. Why do people choose laminate? Many people choose laminate because it is a cheaper alternative to hardwood flooring, and it is easier to install. Laminate, however doesn’t have certain qualities that wood does. For example: if there are scratches on your laminate floor, you are unable to sand and refinish it, you have to replace whatever you want to fix. Why is hardwood flooring a better option? Besides its obvious beauty, hardwood floors are a better alternative to laminate for many different reasons. People with hardwood flooring instantly have higher value for their homes just because of the floors themselves! Hardwood floors last for a very long time: there are many vintage homes on Long Island that still have their original floors. All it takes is some care, and a little maintenance, and your wood floors will continue to thrive. The most common type of damage to wood floors are scratches and dings. You are easily able to repair a wood floor that has been damaged. Sometimes scratches happen, and with wood flooring, correcting the scratches is an easy fix. Cleaning your hardwood floors is much easier than laminate, and it doesn’t get damaged as easily. If there is a spill on laminate floors, the can get warped and lose its luster. Wood floors, on the other hand are easy to clean when there are spills. A wipe and a proper dry and your wood floors are as good as new. Regular cleaning maintenance of your wood floors are the same as laminate; use a vacuum or a dust mop to pick up dust, and a hardwood floor cleaner to finish the job. Ah carpet. Feels good between the toes…When it’s new. Once carpet wears even a little, it loses its allure. Over time it becomes a breeding ground for allergens, plus cleanup is not the easiest. Have a carpet in your home over time, and regular maintenance is not only a bit more expensive than the other two options, you can’t guarantee that after a professional cleaning service comes to visit your home, your carpet being “good as new” is not a guarantee. Unlike wood floors that gain beauty over time, carpet tends to get dingy and worn as time goes on. Besides overall health and comfort, wood floors are the best option for your flooring needs. For top wood floor installation and maintenance on Long Island, Bob Mcgowan’s Wood Flooring is the top choice for installation of your new wood floors.